Life for Shirley Mae Mickens Williams began on April 12, 1937. She was the oldest of four children born to Mr. Curley and Mrs. Marie Mercer Mickens. Her funeral service was held on Saturday April 6, 2019 at 12:00 noon at Campbell Chapel MB Church with Reverend J.W. Shaw in charge. Burial was in the Bolivar Community Cemetery and Dixie Funeral Home (www.dixiefuneralhome.com) was in charge of the professional service. The family made their home in Henderson, Tennessee. At an early age she received Christ as her Savior and joined the J. P. Baptist Church, in Henderson. She attended the public schools of Chester County and upon graduating from high school, it was her desire to go to college. 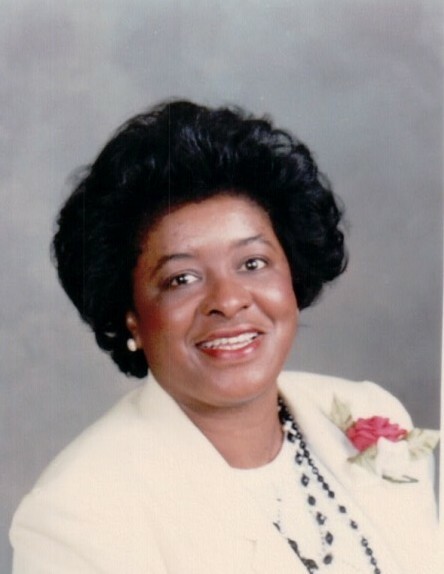 Shirley received a BA degree in English from Tennessee State University and later a Master’s Degree of Education from Trevecca Nazarene University, both in Nashville, Tennessee. She began a career in education as a teacher with the Hardeman County School System. She taught at Bolivar Industrial High School, Bolivar Middle School, and retired from Bolivar Central High School over a span of forty years. Little did she realize that her life would find such meaning in helping the boys and girls of Hardeman County learn to write a sentence correctly, recite a poem, and build a useful vocabulary. Her path in life became sweeter when she united in Holy Matrimony with Mr. John Archie Williams. Although they had no children of their own, their home was always open to their many god-children and god-grandchildren. She was an excellent cook and enjoyed preparing holiday meals for her guest. She delighted in seeing that the table was properly set and that there was plenty of her well-seasoned food, prepared with much love, so there was no need for anyone to leave hungry. She was well known for her chicken & dressing, mac & cheese, potato salad, and sweet tea. She and her husband joined the Greater Springfield Baptist Church near their home in Bolivar, Tennessee, but later united with his home church of Campbell Chapel in the same city. As a devoted Christian woman, Mrs. Williams supported the activities and services of Campbell Chapel as long as she was able. For several years she served as Vacation Bible School director and later she was asked to read the Sunday morning announcements and write up resolutions for the church when needed. She worked diligently in helping to plan the church calendar, the Harvest Day program and the Women’s Conference. She was instrumental in helping to design the pictorial wall for the “Williams’ Wing in the church. She was a devoted Bible Study teacher and deemed it an honor to serve as President of the Mother Board. She was truly a soldier in the army of the Lord. She was known for wearing some of the most unusual hats and felt that a lady was not fully dressed for church without a hat, heels, jewelry and make-up. Mother Shirley was a member of the Eastern Star and was loved, highly respected, and cherished by her family, friends, and church. She was preceded in death by her husband, John; her parents, Curley and Marie Mickens; and two brothers Connell and Jay Mickens. She is survived by one god-sent son, Leon (Virginia) McNeal of Bolivar, Tennessee, one sister, Mrs. Pearley (Ernest) Newbern of Medon, Tennessee; one sister-in-law, Mrs. Ocie Williams of Bolivar, Tennessee; three aunts, Mrs. Sarah Mercer of Detroit, Michigan; Mrs. Helen Mercer of Jackson, Tennessee; and Mrs. Sylvester Holloman of Chicago, Illinois; a dear niece, Odessa (Isaac) Shaw, of Jackson, Tennessee; two dear cousins, Ms. Corliss Mercer Johnson and Mrs. Eddie Mercer, both of Jackson, Tennessee; three dear friends, Mrs. Sally Robinson, Mrs. Frankie (Delphus) Hicks and Mrs. Mozell Parram, all of Bolivar, Tennessee; and a host of god-children, god-grandchildren, nieces, nephews, other relatives, friends, and her church family to mourn her passing.